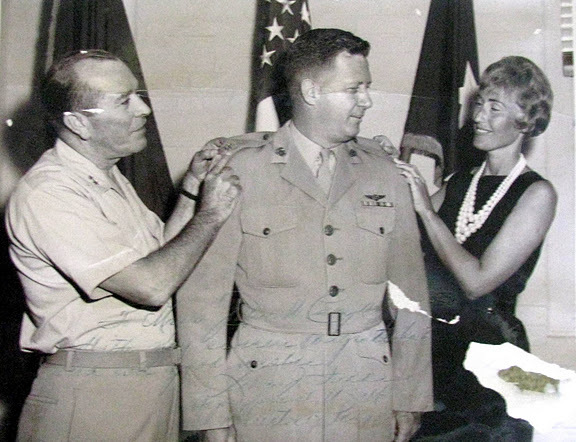 John Campbell was gung-ho to join the Marine Corp. He quit high school in his sophomore year at 17 and became a “Leatherneck” in 1946. Although the Japanese sundered aboard the Battleship Missouri anchored in Tokyo Bay on Sept. 2, 1945, World War II didn’t end officially for the United States government until December 1946. ‘”Following boot camp at Parris Island I was assigned to a 90 millimeter anti-aircraft battalion at Camp Lejeune, N.C. By the end of my first year in the Corps I had made corporal and was serving in the battalion’s fire control systems,” the 82-year-old Port Charlotte, Fla. Marine recalled. He stayed in the Marine Corps Reserve and decided to go back in the regular Marines in 1955. 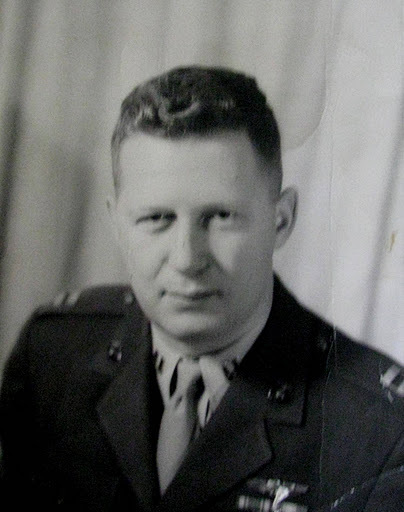 He served a couple of tours as an artillery officer and a couple more in the corps advertising department. Campbell first saw battle when he went to Vietnam as an artillery major. “The real war for me started when I went to Vietnam in 1967. I was sent to Phi Bai with the 4th Battalion, 12th Marine Regiment. It was a big Marine Corps base with its own airfield. I was the executive officer of the 4th Battalion,” he said. “I was coming back from a visit with my dear wife in Hawaii when the enemy’s Tet Offensive started. We landed in Phu Bai, I got off the plane and reported to the 1st Artillery Group,” Campbell said. “They had just gone through an enemy mortar attack. They were all frustrated about the attack. “The mess hall was serving super chow –steak, fresh vegetables and ice cream. I knew then what they were doing and why the great chow. They were cleaning out the refrigerators to make room for the bodies of dead Marines they knew were coming,” he said. Much of his time in Vietnam was spent as the commander of a fire base along the DMZ (Demilitarized Zone) separating North and South Vietnam called Gio Linh. “If you followed Route One, the main highway in Vietnam, it was right before ‘Freedom Bridge,’ going across the river into North Vietnam. We had a reinforced artillery battalion — 120 tubes of artillery, infantry and tanks as well” he said. “It was a busy place. We fired about 3,000 artillery rounds a day into North Vietnam from our base along the DMZ. Life in Vietnam for some Marines wasn’t all war. Occasionally they would take time to have fun. One of those times was the annual Marine Corps Birthday Party. It’s a big thing if you’re a Marine. “My guys were complaining that everybody in the regiment was going to have a birthday party except them. That wouldn’t do, so I call the mess supply offer that provided our base with food and told him I wanted a cake for my troops. On the way back with the cake and the food a Marine Corps helicopter unit flew into their DMZ base. It sent a chopper out to cover the return of the truck with the food. When he returned from Vietnam, he was sent to American University in Washington, D.C. where he graduated with a degree in computer science. Campbell ended up a lieutenant colonel running the largest installation of IBM-20 computers in he world at the Management Systems Department in Quantico, Va. In 1974 advancement in the Corps was slow. Campbell had 28 total years in the regular and reserve Marines and decided to wind up his military career. Immediately after retiring from the service he joined Basic Systems, that had a Navy contract to help the government manage its Naval war games computer program. After nine years with Basic Systems, Campbell went to work for Mitre Corp. For the next 11 years he helped this firm install computer systems for military purposes in bases around the world. He and his wife, Marilyn retired to Riverwood 15 years ago. They have three grown daughters: Leslie, Laurie and Amy. This story first appeared in the Charlotte Sun newspaper, Port Charlotte, Fla. on Monday, Jan. 2, 2012 and is republished with permission. Click here to view Campbell’s Collection in the Library of Congress’ Veterans History Project. Thank you for such a positive comment on a fellow Marine. We’re glad you made it back.